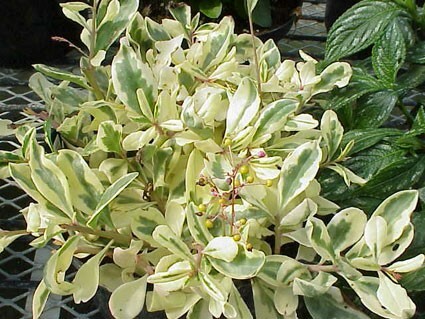 "Fame Flower" or "Jewels of Opar" Slender erect stems bear obovate ivory-margined fleshy leaves; terminal pinkish-red flowers followed by berries create a haze of color much prized by designers. 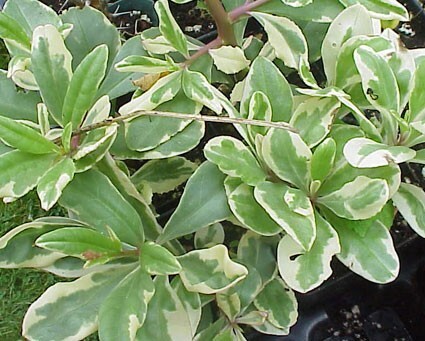 A Caribbean native, so avoid winter chills. 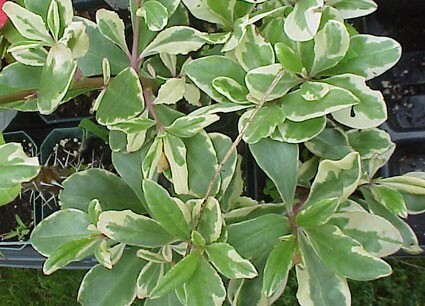 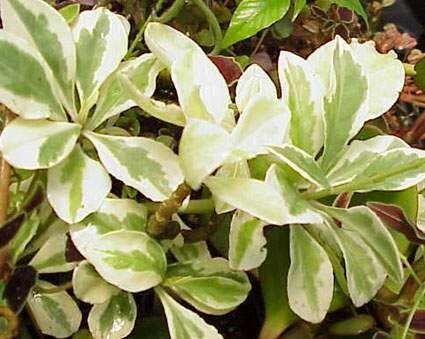 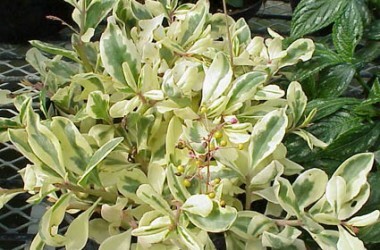 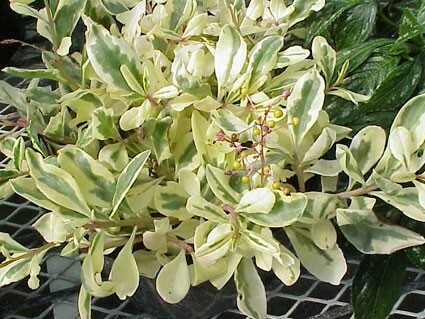 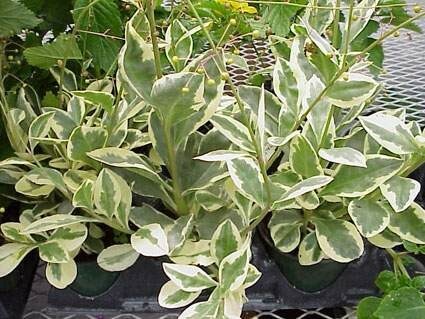 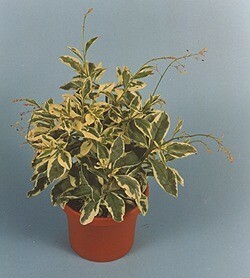 A wonderful addition to any outdoor container, windowbox, even bedding as the clear white variegation brings out the intensity of any nearby foliar colors--plus, a beautiful pot subject by itsself, performing quite contentedly on a sunny windowsill.